Perhaps no other city in America is as synonymous with gentrification as San Francisco. In 1970, around 96,000 black people lived in the city—about 13 percent of the San Francisco’s total population, according to the Census (h/t Huffington Post). In that past 40 years, that percentage has been halved. Now, as real estate prices and the cost of living have skyrocketed, only 6.1 percent of San Francisco residents are black. The city’s most prominent black neighborhood, the Fillmore District—once known as the “Harlem of the West”—has been aggressively gentrified; only a handful of black-owned businesses remain. The Last Black Man in San Francisco tackles one black man’s journey to reclaim a small part of his hometown and his family legacy: the house his grandfather built. The movie, directed and co-written by Joe Talbot, is inspired the real-life story of Jimmie Fails, who plays himself in the film and also co-wrote it. A24 Films released the trailer for the film on Thursday. The sumptuously shot film opens with a voiceover from Danny Glover. The Last Black Man In San Francisco debuted at Sundance Film Festival, where it met wide critical acclaim. Talbot’s first feature film took home the Special Jury award, along with a directing accolade, Deadline reports. Fails (who stars as a version of himself) and his friend Montgomery (Jonathan Majors) make their weekly pilgrimage across San Francisco to Jimmie’s dream home and imagine what life would be like if this neighborhood had never changed. When they realize the house’s current owners have moved out, Jimmie decides to recreate the home his family once had. As he struggles to reconnect with his family and reconstruct the community he longs for, Jimmie’s domestic aspirations blind him to reality. 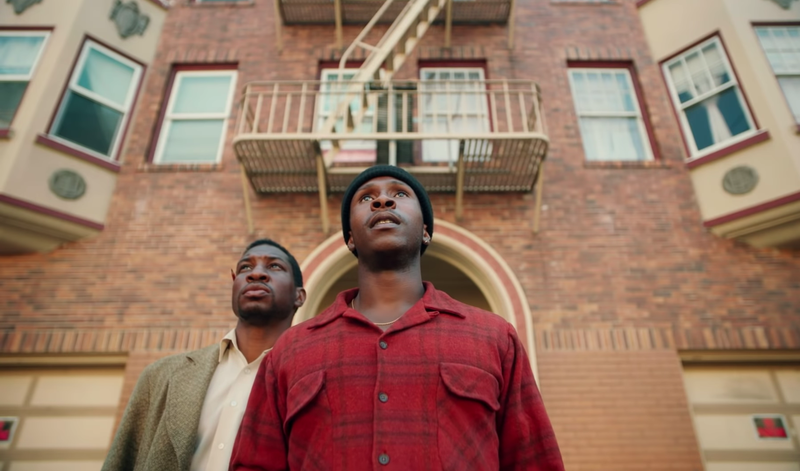 But while the film tackles gentrification head-on, early viewers made clear The Last Black Man In San Francisco is about so much more than that. Rob Morgan and Tichina Arnold also star. The film is set for a summer release.